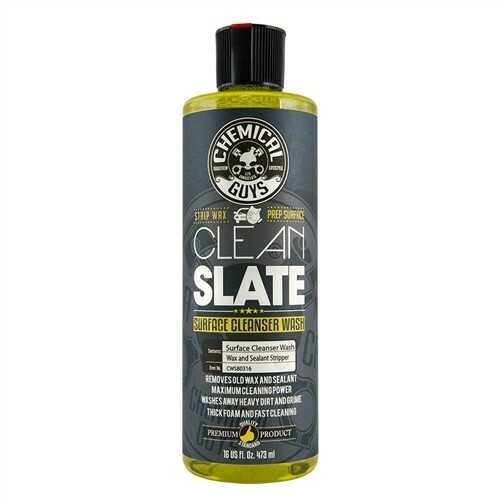 Chemical Guys brengt je lak snel en simpel naar de perfecte finish. Black Light Shampoo is een aanvulling op de bekende Black Light Hybrid Glaze, de glaze en sealant om je donkere lak extra goed mee uit te laten komen. De glansversterkers in Black Light Car Wash geven extra glans aan donkere lak. Black Light Car Wash Soap is de perfecte auto shampoo voor het in één stap reinigen en versterken van de glans van donkere en zwarte auto's. 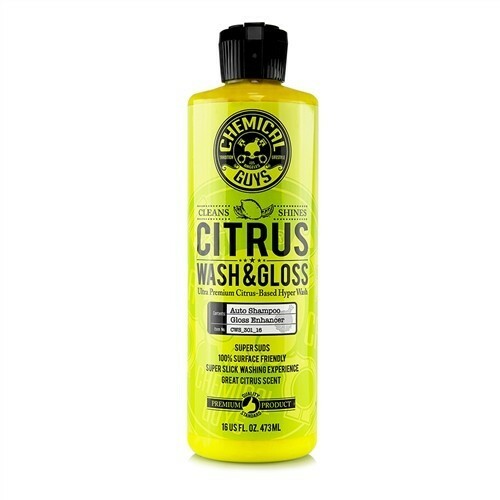 Black Light Shampoo tilt auto wassen naar een hoger niveau, met nog mooiere glans en nog meer kleurdiepte. Het schuim van deze shampoo is dik, glad en vol, en blijft dit gedurende de wasbeurt. Dankzij het super dikke schuim worden vuil, roet en andere wegdek vervuiling veilig verwijderd, voor krasvrij en hoogglans resultaat. 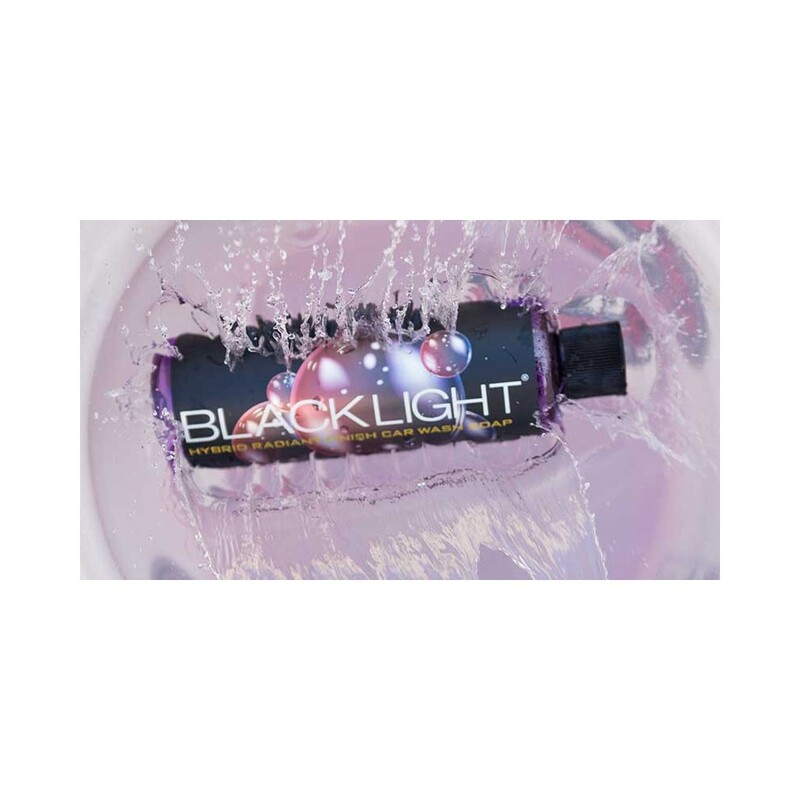 Black Light Car Wash Soap is veilig voor blanke lak en verwijdert de wax en sealant niet. Glansversterkers geven de lak een diepe glans, zowel op zwarte lak als op donkere lakken. 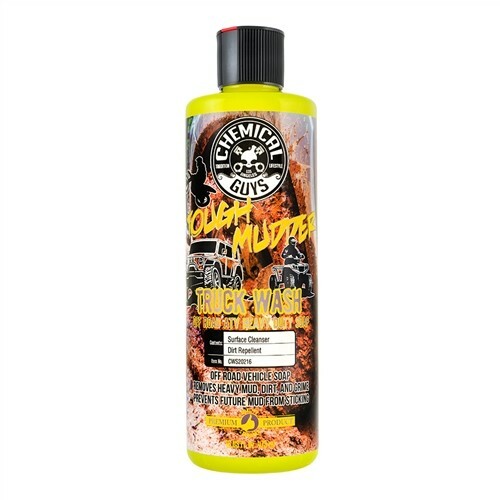 Gebruik Black Light Auto Shampoo in een foam gun of foam lance voor extra dik sop, als aanvulling op de reguliere twee emmer wasbeurt. Bij gebruik in een foamgun produceert Black Light Shampoo een dik schuimend sop dat goed op het oppervlak blijft zitten, voor makkelijker wassen. Het schuim weekt het vuil los en sluit vervuiling in, zodat dit zonder te krassen van de auto gespoeld kan worden. 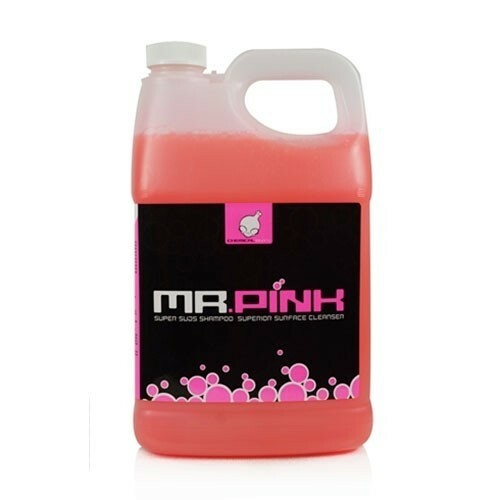 Black Light Car Wash Soap herstelt de donkere wetlook glans van je lak of wax. Door de streeploze formule laat de shampoo geen residu achter. 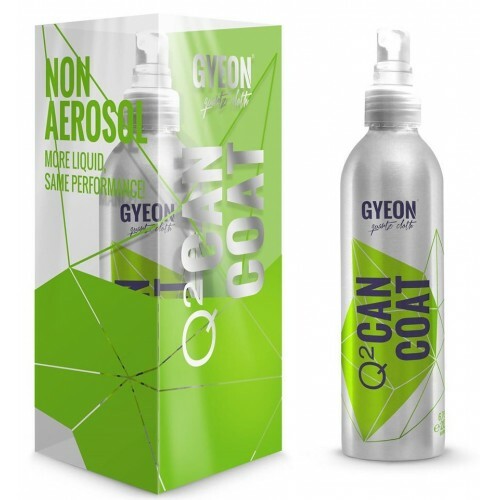 De shampoo is pH-neutraal en beschermt wax en sealant coatings. Daarnaast verhult de shampoo swirls en kleine krassen op zwarte lak. Maintaining black paint is a full time job. Detailers and enthusiasts lovingly care for their black paintwork, only to find it full of swirls and scratches after a few weekly washes. Poor quality car wash soaps, towels, and bad wash habits contribute to millions of scratches all over the surface, which is perceived as swirls. 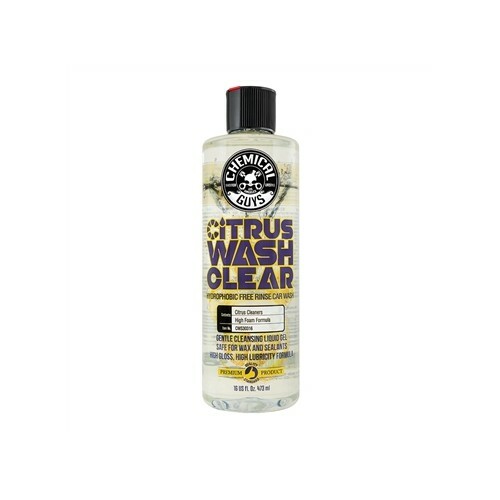 Start every wash out right with Black Light Car Wash Soap. 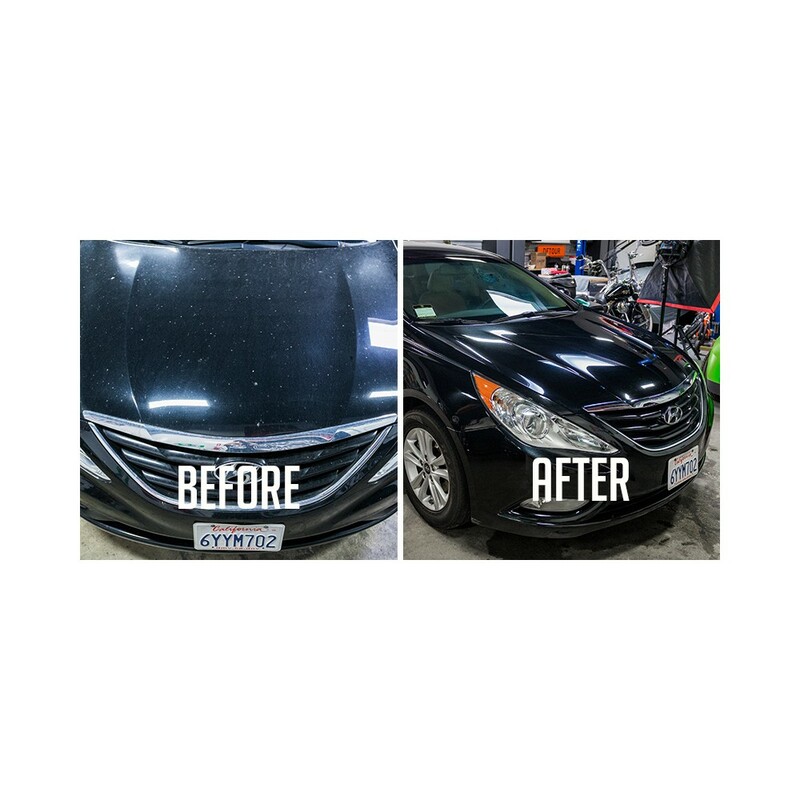 Black Light uses advanced synthetic lubricants, hyper-surfactants, and gloss enhancers to emulsify dirt, separate it from the surface, and gently guide it away for a scratch-free shine. 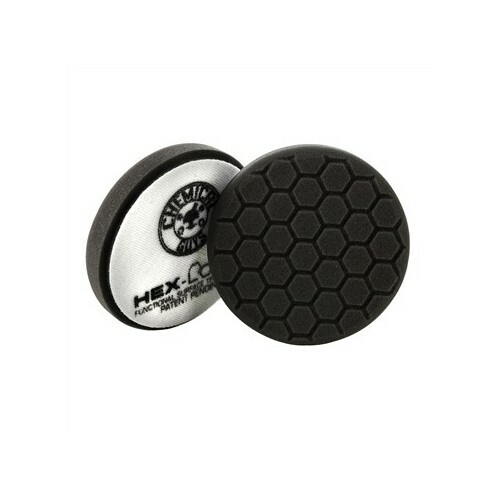 Use Black Light Soap with the two-bucket car wash method to safely pull abrasive dirt off the car, then wash it from the mitt for an abrasion-free wash tool. 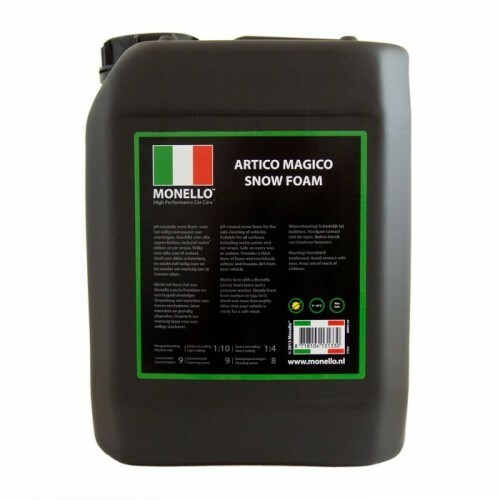 Add Black Light Car Wash Soap to the foam gun or foam cannon to pre-soak and separate abrasive dirt and debris from paintwork to further reduce the chances of installing any swirls or scratches. Finish the car wash with a premium microfiber towel and Hybrid V7 quick detail spray for a perfect scratch-free shine on any show car, daily driver, or fleet vehicle. 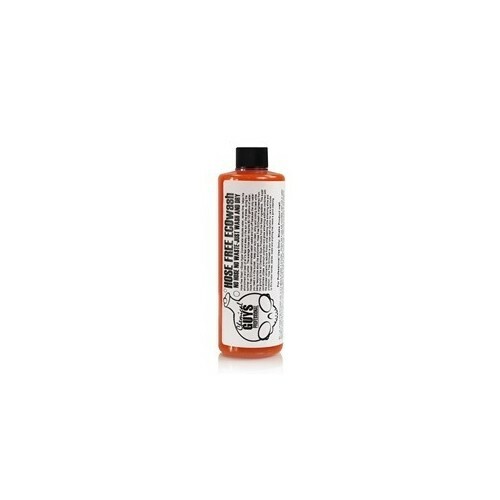 Black Light Car Wash Soap is the perfect soap for a full detail on any black or dark colored vehicle. Use Black Light Soap to wash paintwork, and remove dirt, mud, bird droppings, insect splatters, road salt, fresh water spots, and more. 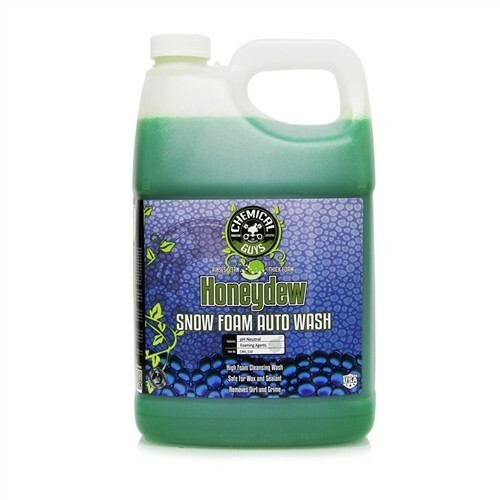 Fill a third bucket with Black Light Soap and water just for cleaning wheels, undercarriage parts, and exhaust tips. Black Light Soap easily removes road grime, brake dust, and filth from painted, chrome, powder coated, and polished wheels and rims. Black Light is safe for textured plastics, rubber, clear optical plastics, glass, paintwork, vinyl tops, clear convertible windows, convertible fabric tops, and any other automotive exterior surface. 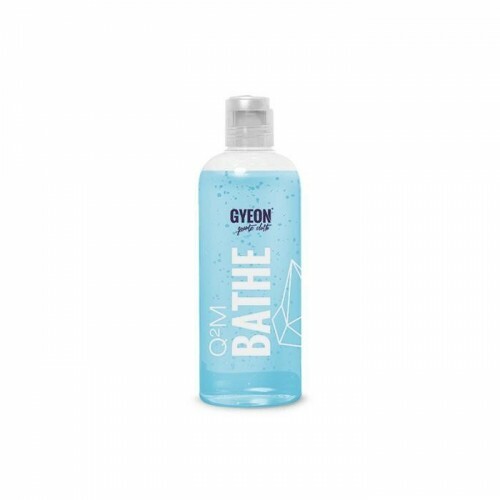 Rinse down the car after a full wash with Black Light Soap, then re-foam the car and use Black Light Soap as a lubricant for synthetic clay mitts and erasers to decontaminate the surface for a smooth-as-glass feel. The uses for Black Light Soap are limitless. Clean, shine, protect, and maintain a scratch and swirl free lustrous shine on black and dark cars with Chemical Guys Black Light Car Wash Soap. Maintaining your vehicle’s protective wax or sealant layer is important. 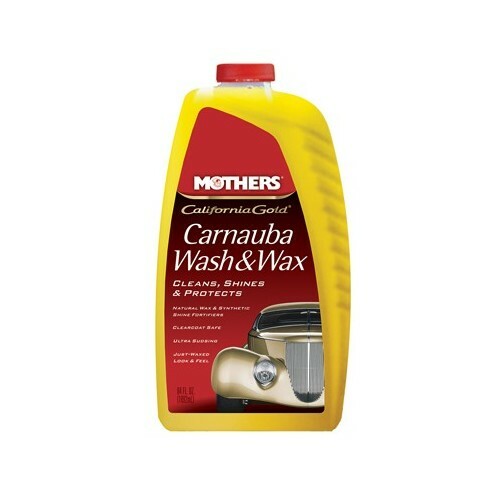 Wax and sealant protect your car from UV rays, water spots, and contamination. 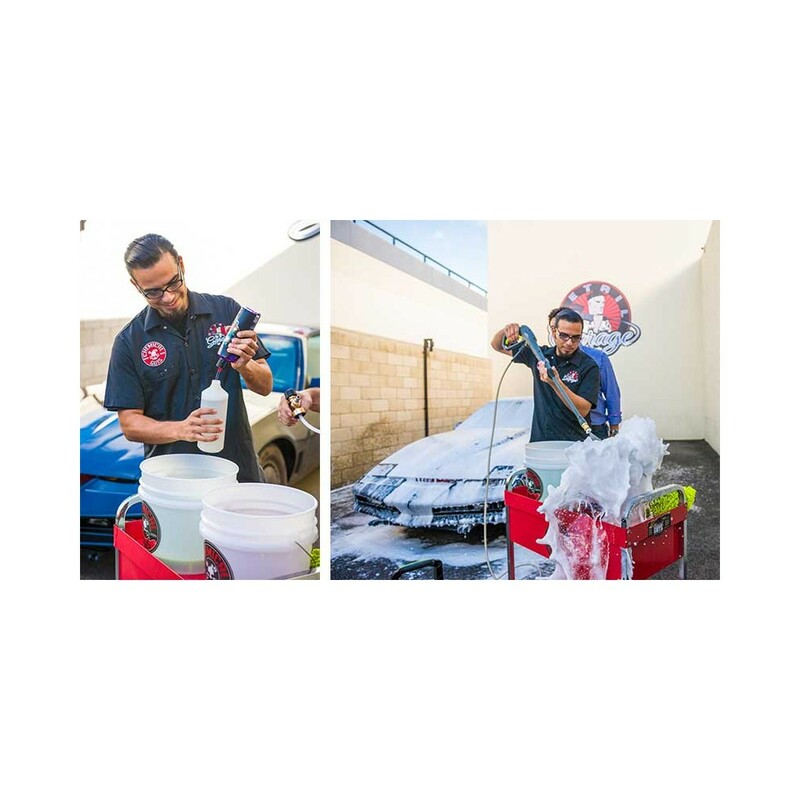 Stripper Suds works to maintain your protective wax or sealant layer. 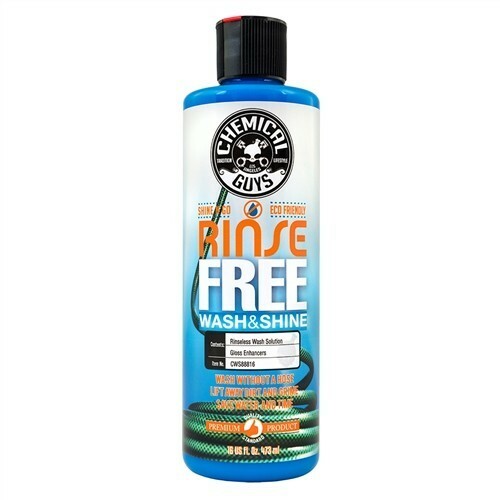 The unique washing formula allows dirt, grime, and filth to be washed away while still maintaining your protective layer. 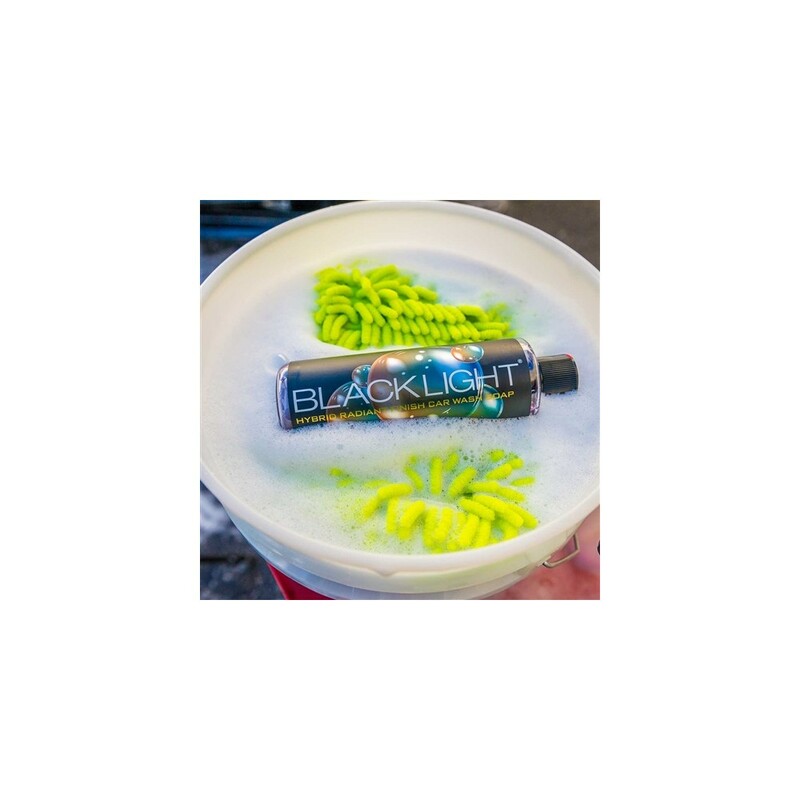 Black Light Car Wash Soap is designed to wash any exterior surface with precision. 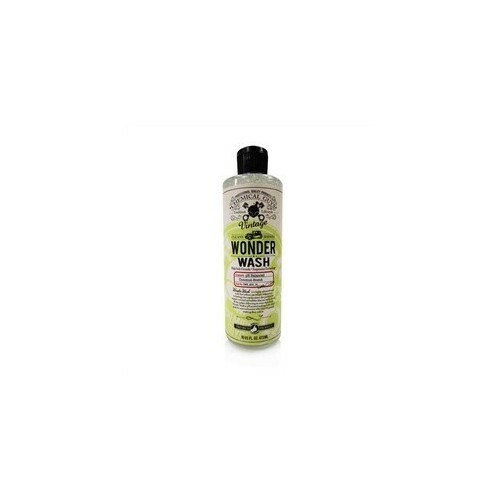 Simply mix 1-3 ounces of Black Light Car Wash Soap to 5 gallons of water to create a superior surface cleanser with a generous amount of wash suds. 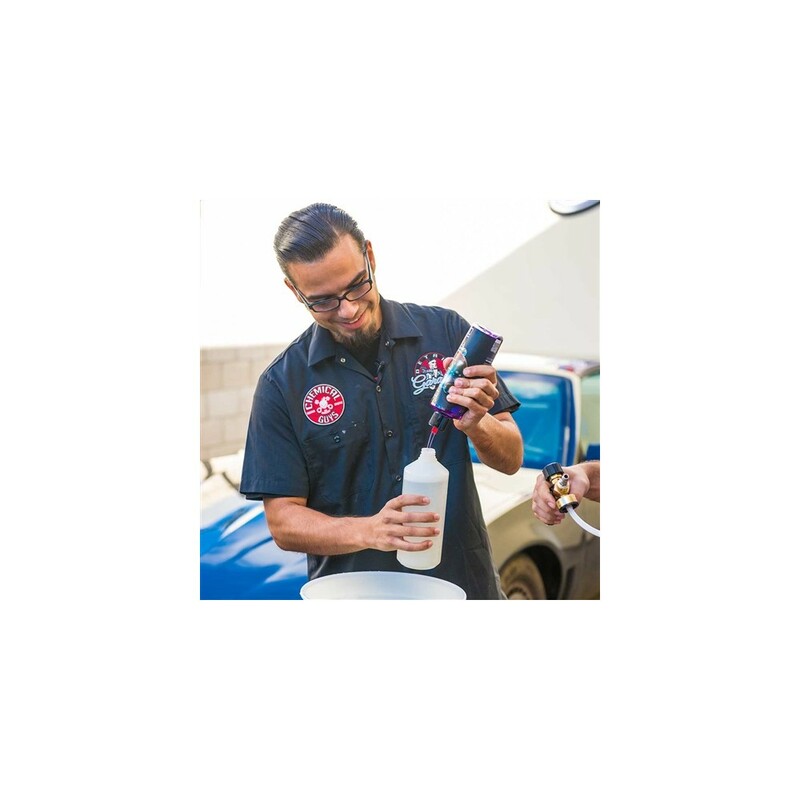 The advanced super polymers glide over your current wax or sealant layer ensuring that your car, truck, motorcycle, or RV stays protected against the elements. 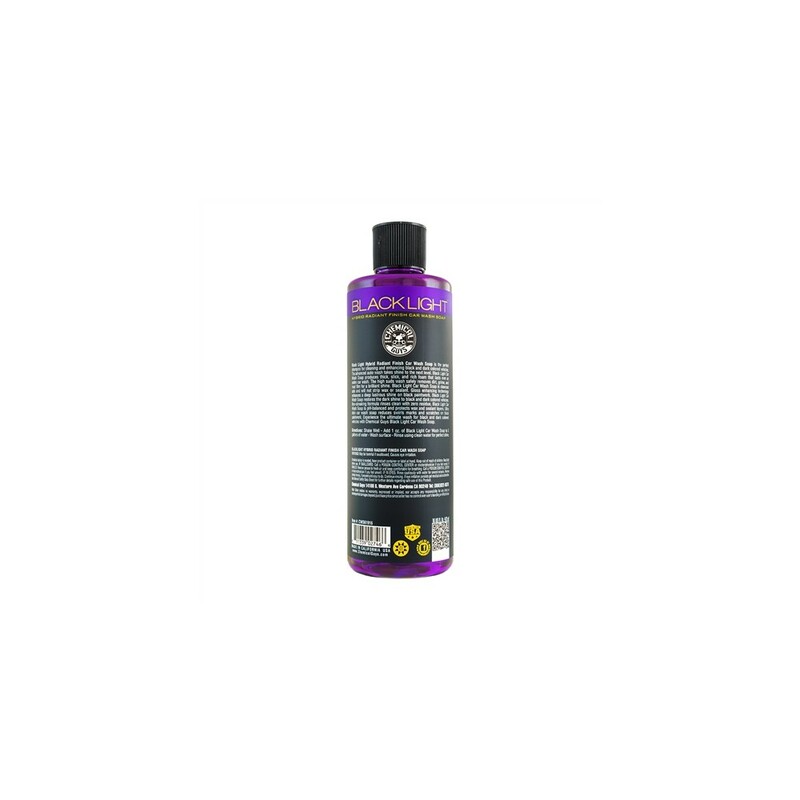 Black Light Hybrid Radiant Finish Car Wash Soap will show you the true definition of clean. Black Light Hybrid Radiant Finish set a new standard for optical select glazes. The world had never seen a glaze enhance such extreme depth, deep wet shine, and brilliant lustrous finish like Black Light. 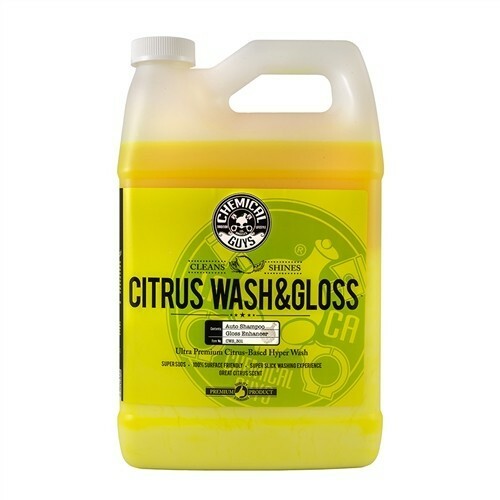 Now Black Light Car Wash Soap cleans, enhances, and prolongs the beautiful effects of Black Light with every car wash. Black Light Car Wash Soap is tough on grime and contamination, but gentle on sealants, glazes, and waxes. 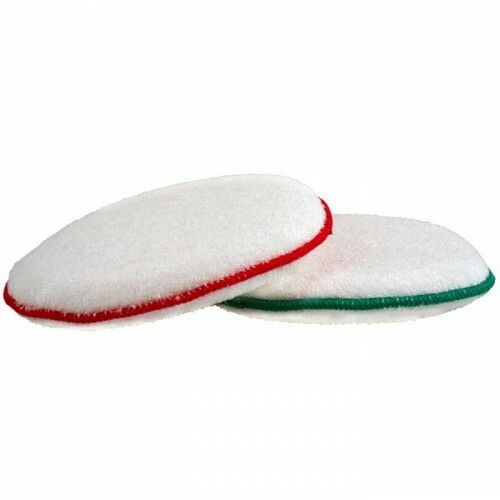 The wash soap is pH-neutral, and will not strip any protective coatings. 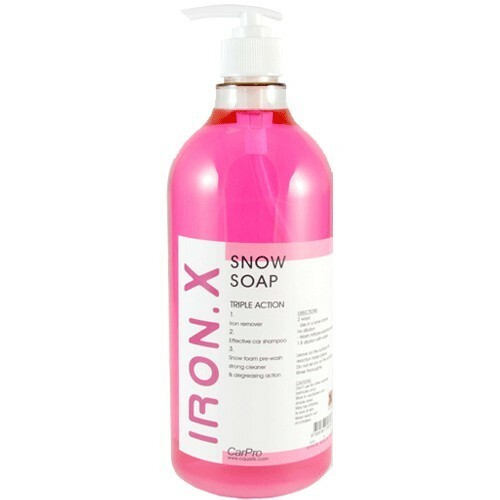 The soap is so gentle and neutral it can be used in direct sunlight and rinsed clean without leaving any spots or streaks on any vehicle. 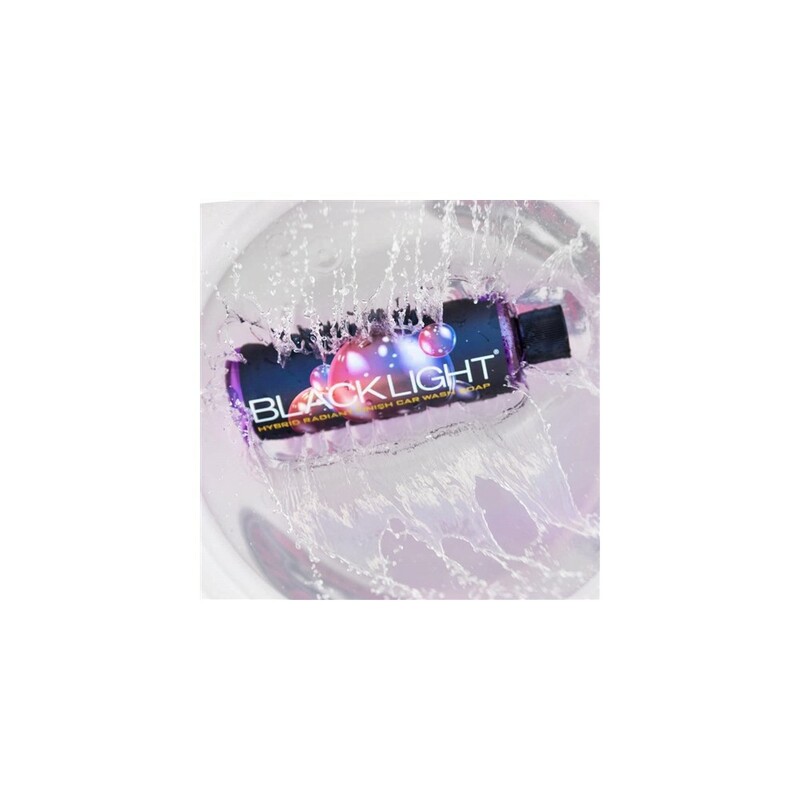 The unique scent of Black Light enchanted and mesmerized detailers and enthusiasts worldwide with a mysterious aromatic blend that includes black cherry and natural fruit overtones. 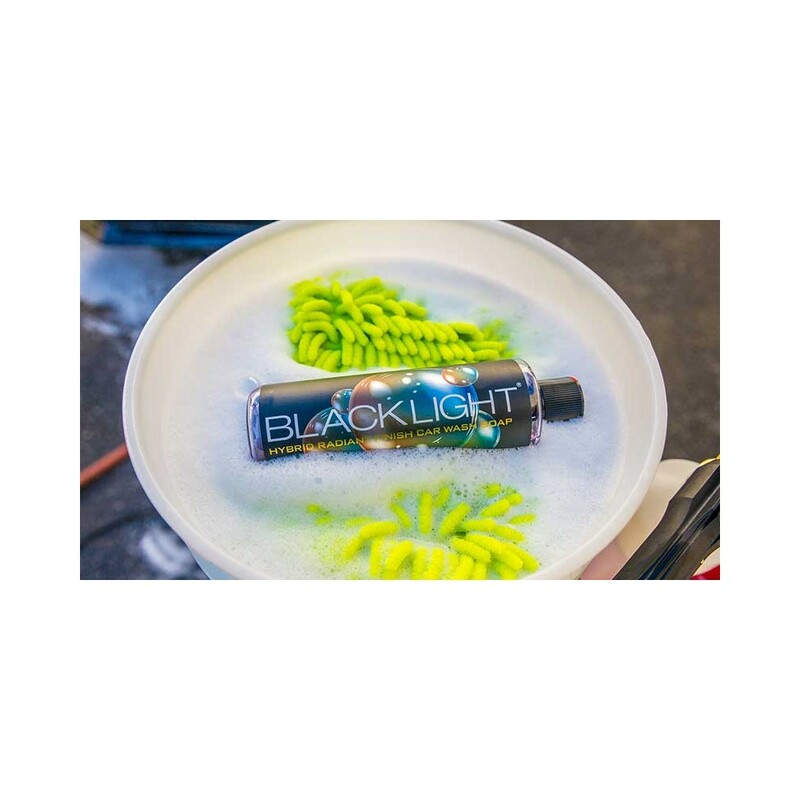 Black Light Car Wash Soap cleans and protects vehicles and spreads the aromatic Black Light fragrance that detailers and enthusiasts know and love. 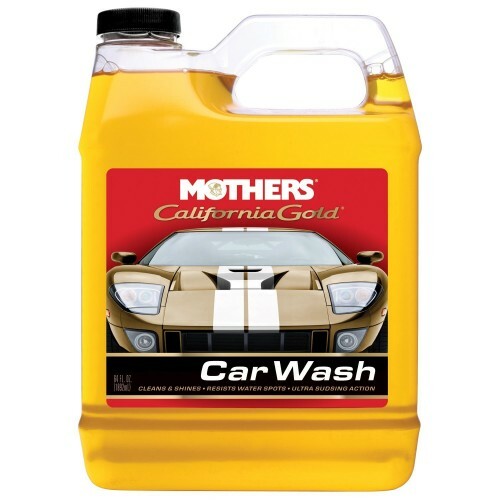 When you are done washing your car and ready to dry it, use After Wash to not only speed the drying process, but also moisturize your paint. 95% of swirls and scratches come from poor wash and drying habits. The advanced lubricating polymers in After Wash glide any premium microfiber towel over paintwork for a scratch-free shine. 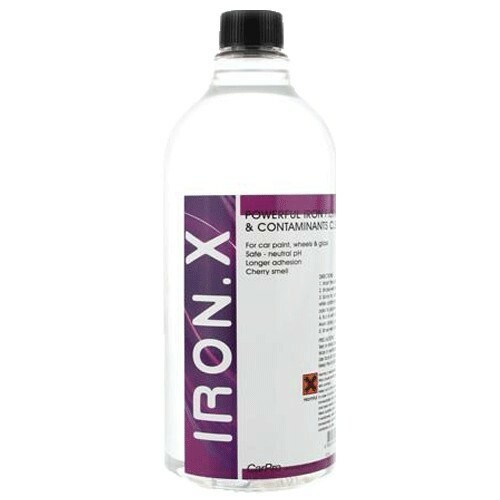 After Wash is available in 4 ounce, 16 ounce, and gallon sizes.